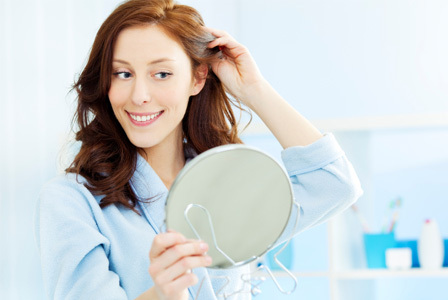 Want to know what hair products actually measure up to their hefty price tags? We’re showing you the hair gems you can spend your hard-earned money on and not feel guilty. As a beauty editor, I test out more beauty products than you want to know. Some of them make their way into my daily hair routine, some of them get tossed out in horror, but all of them get a fair chance. I understand the importance of using quality (oftentimes expensive) hair products, but I also realize that budget is important. So if you’re looking for some luxury hair products that are actually worth the splurge, check out these little babies. These are a few of the ones I’d actually shell out my own money on over and over again! What is it? This hydrating masque softens and nourishes parched hair and leaves locks smooth and touchable. Why do I love it? Yes, this hair savior has sleek packaging and a delicious smell — admittedly, the first two things that drew me in — but its fantastic results keep me coming back. 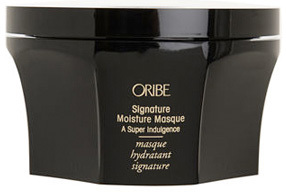 I use this hair quenching masque once a week on my curls to keep them moist and soft and every time, I’m reminded why I keep this little baby out of reach of anyone else — it’s that good, and I simply don’t want to share. What is it? This curl styling cream helps shape natural curls and add shine from roots to end. Why do I love it? Besides the fact that I can smell this tasty gem all day long, I also am in love with its curl-perfecting properties. On days when I don’t feel like using a heavier mousse, I rub in a dollop of this light cream and watch my curls form to perfection. What is it? This nourishing, protective oil moisturizes hair, protects against harsh UV rays and adds an excellent touch of shine. Why do I love it? I judge a product off some serious criteria: Does it smell good? Does it make my hair greasy? Does it actually work? And this hair product gets glowing reviews every time. This little baby smells amazing — sweet and fresh — and it does a great job of adding shine without leaving that nasty excess goop I detest. I love to rub a bit on my bangs before blow drying to protect them from the harsh heat, and use it to add definition and shine to my second day curls. What is it? The cream of the crop when it comes to clarifying shampoos. Why do I love it? I don’t like to use a lot of product in my hair, but somehow it always seems to build up anyway. On days when I need a cleansing hair detox, I wash with this and all the lingering product residue instantly disappears. Plus, it smells nice! What is it? An incredibly effective surf-inspired spray that adds amazing texture and waves to hair. Why do I love it? I already have really curly hair, but as all curly gals know, sometimes it just won’t cooperate. On days when I want a more manageable wavy look that’s guaranteed, I spray in a bit of this baby and voila! I’ve got beachy waves for days.